Erected and detailed stair no. 3. Roughed in electrical overhead on third floor and laid out sleeves on the east half third floor deck. 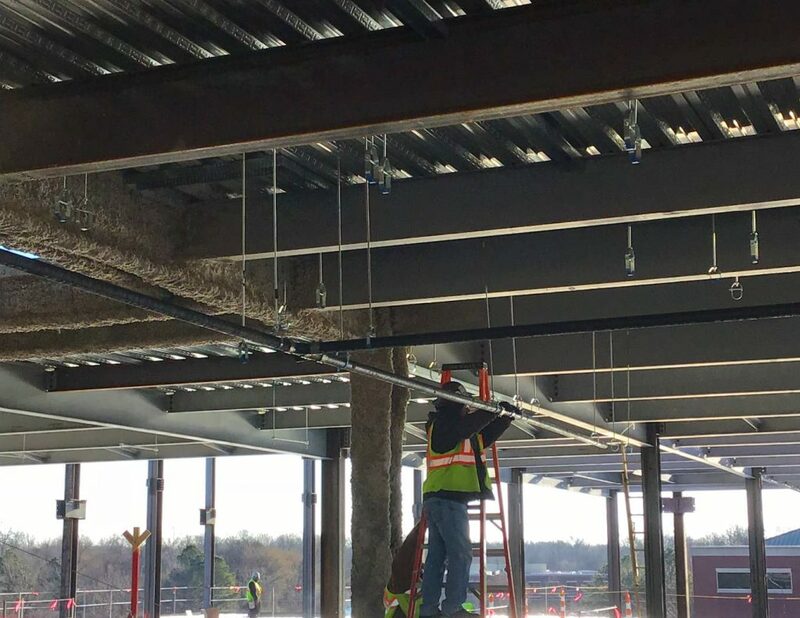 Installed plumbing hangers and pipe on second and third floors. Laid out sleeves on the east half third floor deck. 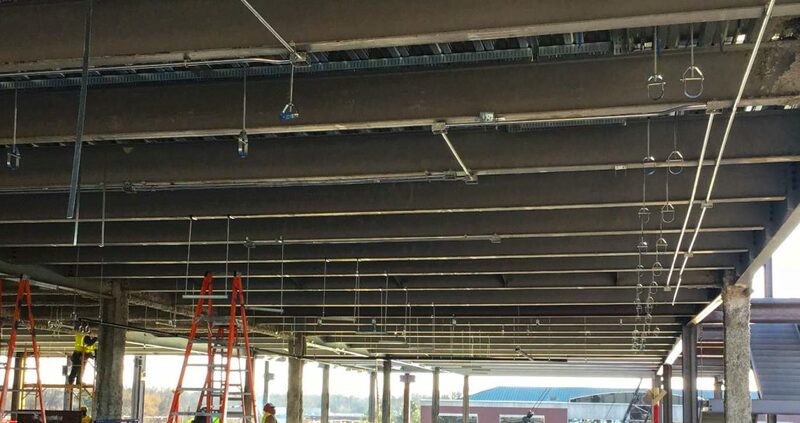 Continued layout and installation of west half ductwork on the third floor. Continued hanging West side precast. Installed shipping and staging precast. The precast erection will finish up the west side of the building by the end of the week. The crane that is on the west side private drive will soon be leaving the site, after erecting the crane that will be used for the remainder of the project. The brick within the precast is a special order, blended with thin brick to match the existing Campbell Clinic buildings. 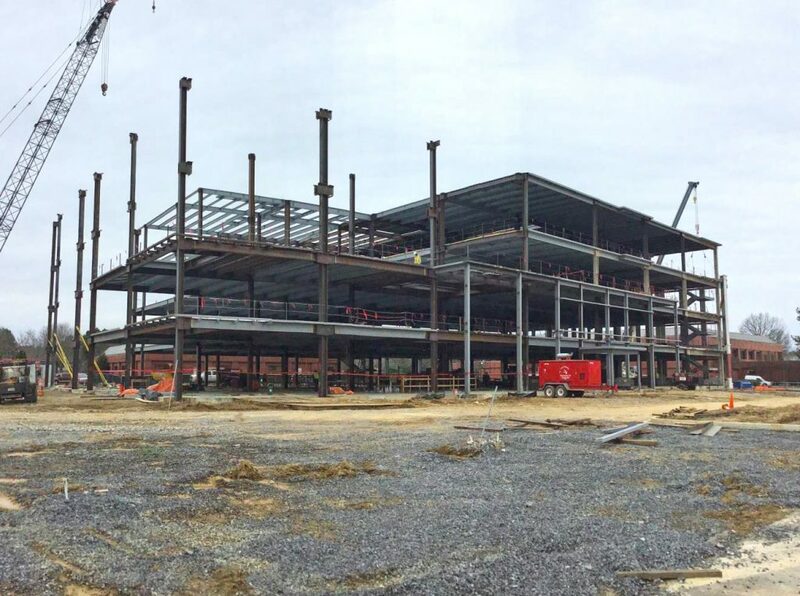 The bricks are hand-placed into a mold and concrete poured on top, so that when the panels are removed from the mold the brick is cured into the precast.